When a tanker carrying millions of gallons of crude oil accidentally dumps its contents into the sea, you can imagine the effect on the environment. The Exxon Valdez Oil Spill was one such accident that happened 25 years ago. 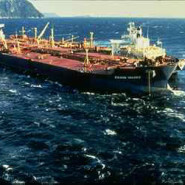 On March 24, 1989, the Exxon Valdezoil tanker heading for Long Beach, California, from Alaska, struck Prince William Sound‘s Reef. It spilled 11 million gallons of crude oil into the pristine waters of the Gulf of Mexico. This incident has become one of the greatest environmental disasters of the entire generation caused by human error. The full effect of the oil spill at the Prince William Sounds is still unknown. There are far-reaching long term effects of such disasters on the environment, affecting a wide range of species and habitats, affecting the natural growth of and ecological balance of the environment. The remote location of the Prince William Sound made it difficult for government and industry efforts to access the area. The location was only accessible by plane, helicopter, or boat, which severely strained the existing government plans for response. The area was a natural habitat for several species of marine animals, including salmon, sea-birds, seals, and otters. The oil spill eventually covered 11,000 square miles of ocean water and 1,300 miles of coastline. The Exxon Shipping Company is mostly held responsible for this accident. The main reason why Exxon Valdez collided with Bligh Reef is because the company failed to supervise the master and provide enough rested crew for the ship. The immediate effect of this accident was death of a large number of marine animals living in that area where the accident took place. As many as 2,800 sea otters, 300 harbor seals, 900 bald eagles and 250,000 seabirds died in the days following the disaster (Exxon Valdez Oil Spill Facts). According to a recent study (Gulf of Mexico oil spill researchers) the effects of the oil spill were far more than anticipated which resulted in more long-term loss of species. A Dispersant that works as a dispersing agent, which increases the fluidity of water was used in the waters away from the coastal areas. The dispersant was supplied by a private company. They applied the dispersant with helicopter and bucket. The waves weren’t strong enough to mix the Dispersant and oil together, and so, the use of dispersant was stopped. Another dispersant was tested for and considered for use; it was tested in the waters away from the coast, but was discontinued due to the growing concerns of the general people and environmental activists. There was a growing concern about the toxicity of the dispersant Corexit 9580, which was considered but not tried near the coastal areas. According to a booklet published by the Alaska Department of Environmental Conservation, called the Shoreline Treatment Techniques published in 1993.The scientific data of the toxicity of this chemical were either incomplete or thin. On top of that, it did not gain acceptance from people who did not like the idea of more chemicals being used to treat the spill. To the fishermen, landowners, and the environmentalists, dumping more chemicals on top of the water and coastal areas was just too risky. During the early stages, trial explosions to burn the spilled oil were also conducted, on oil isolated from the rest, and it was relatively successful. They were able to reduce 113,400 liters of oil down to 1,134 liters of residue, which was manually and mechanically removed. The accident was vastly due to the negligence of the Exxon Shipping Company, which resulted in the introduction of Marine Pollution Prevention (MARPOL) rules by the International Maritime Organization. These rules have been ratified by member countries of the organization. Today, all of the ships around the world are required to obey and operate under the International Ship Management rules, with common objectives of safer and cleaner oceans. As our next huddle guest, we will have Dr. Robert W. Howarth, Professor of Ecology & Evolutionary Biology at Cornell University, who was also called on by the Attorney General of Alaska to be the lead consultant on their response to the Exxon Valdez oil spill. Please register and enjoy the live webinar.